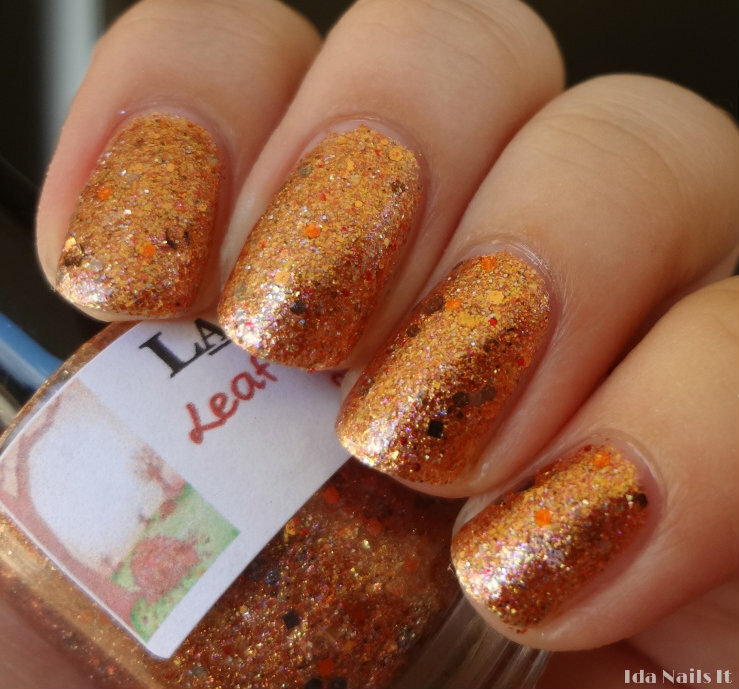 Lacquistry polishes are always unique and complex and I am never quite able to give accurate descriptions for them. These two are from her Fall Y'all trio that I bought in late September. 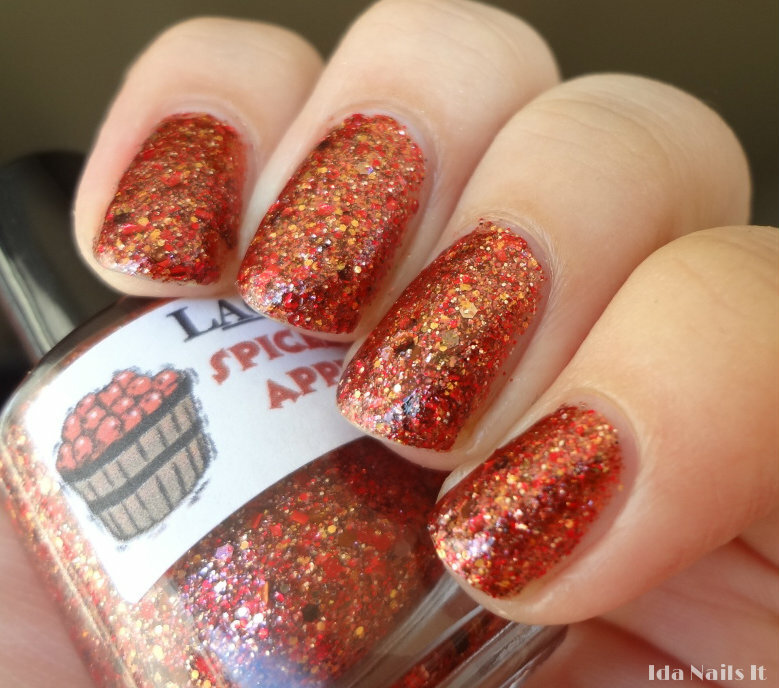 No layering needed, I used two coats with Leaf Piles Make Me Smile and three coats with Spice Candy Apple Cider. These are not available any longer in Lacquistry's Etsy shop but she will be releasing her Winter/Holiday 2012 polishes soon. 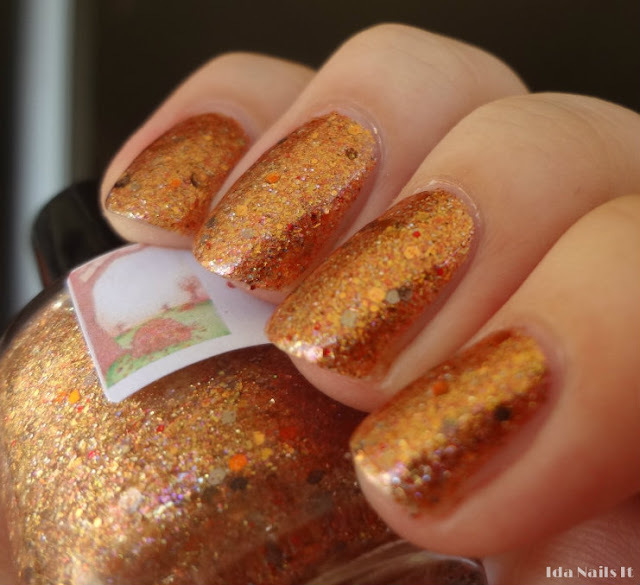 These two polishes are the epitome of autumn! They truly are and I love that!